Do you want no longer experience difficulties with non-legal events, chaos in organization, fuzzy orders and nonsense missions ? Would you like to have good fight, to be part of a task force and to have experience command above your head ? Would you like to meet new people over a good refreshment ? Would you like to enjoy an event with strong orga support ? 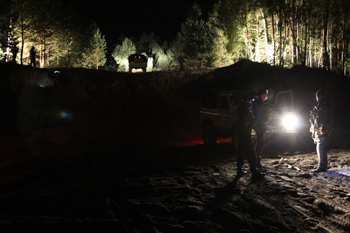 Then join us in 2016 at one of our seven hosted events including the 13th installment of legendary Protector event or 7th installment of popular Operation Lizzard event. In this year you can also look forward to even more events from Project BULLET – Special Operations – besides those regular seven ones. Together with us help us to build a new serie of new events hosted by AIRSOFTWARS, aka by Igor, Jarin and Riggs, aka the orga team responsible for millitary events like Protector, Bloody Sunrise, Operation Lizzard and many more.